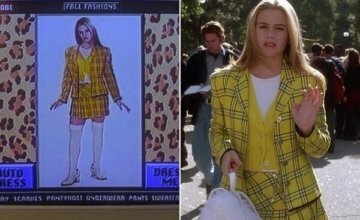 We’ve all been teased over the years by virtual fitting room apps that claim to give you Cher Horowitz’s virtual closet in Clueless right in the palm of your hand, but few can actually deliver. The perfect solution to online shopping would let you shop style from tons of brands, try clothing on virtually, and give you the perfect size recommendations for your body shape. Well, it’s time you met SelfieStyler, the virtual fitting room app that’s changing the way you shop online. Your SelfieStyler experience all starts with a selfie. By simply downloading our app, you’re only minutes away from having a shoppable closet at your fingertips. Jump into a fitted pair of shorts and a sports bra, and you’ll be voice-guided through our 3-photo process. Then, within minutes, you’ll have a selfie you can style and perfectly recommended sizes. With over 150 brands to shop, you can find the perfect styles to complement your wardrobe. From Levi’s to Hudson, and BellaDahl to Kenzie, we’ve got you covered. 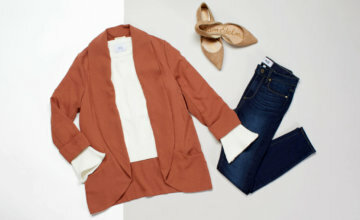 Shopping new brands is easy, and trying clothes on virtually is even easier. Simply tap the hanger icon on a product image, then see it on yourself in the virtual fitting room. Now you can style the perfect look for an upcoming date night, an outfit for your big day at work, or what you plan on wearing to a party and share it with your friends before buying. SelfieStyler makes online shopping even easier by recommending the perfect size for you in all of our styles. Using our patented SureFit technology, we’re able to measure your body with 98% accuracy and match you with the best fitting size for you. We give you helpful clues based on distinct fit points to let you know how that new shirt or pair of jeans will fit on you. Try us on for size and let us know what you think! Download SelfieStyler and get your selfie started!